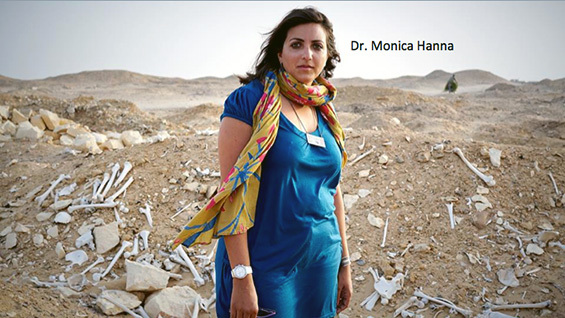 Dr. Monica Hanna, archaeologist and social media activist, will discuss the risks she takes to expose the looting problem in Egypt and how her efforts have led to the recovery of stolen objects in a lecture entitled, "Saving Ancient Egypt, One Tweet at a Time: How social media is saving one of the world’s oldest civilizations." Dr. Hanna created and maintains Egypt’s Heritage Task Force, a social media outpost for reporting attacks on heritage sites and sharing information about this devastation with the world. Her talk will precede the 2014 SAFE Beacon Award ceremony, where she will be recognized for her endeavors to save Egypt’s cultural artifacts and history. SAFE/Saving Antiquities for Everyone, Inc. is a non-profit organization dedicated to preserving cultural heritage worldwide. The SAFE Beacon Award recognizes outstanding achievement in raising public awareness about our endangered cultural heritage and the devastating consequences of the illicit antiquities trade. Since 2004, awards have been presented to authors, professors, law enforcement professionals, and archaeologists.